Garlic, lemon water and olive oil frequently are used in liver-cleansing detox diets, though many health professionals doubt the effectiveness of these regimens. Fortunately, you don't have to gulp copious amounts of these substances in a detox to experience the benefits. Adding garlic, lemon and olive oil into an overall healthy diet will give your body plenty of nutrients that aid in overall health. Proponents of liver and gallbladder detoxes often suggest drinking a mixture of olive oil, lemon water and garlic to help improve liver function and cleanse the liver of toxins. Some variations of this type of cleansing diet also may call for grapefruit, organic apple cider, laxatives or Epsom salts, as well. A typical liver cleanse or detox may last from three to seven days and is essentially a liquid-only diet. Promoters of these liver and gallbladder cleansing regimens claim that they help flush gall stones from the liver, aid in digestion and improve overall health. Harvard HealthBeat warns that fasting detoxes can have dangerous consequences, potentially causing electrolyte imbalance, dehydration, disruption of intestinal flora and impaired bowel function. These regimens also are lacking in essential nutrients, calories and carbohydrates. Detox diets are not scientifically proven to remove any toxins from your body. You don't have to subject your body to a potentially dangerous detox diet to enjoy the benefits of garlic, lemon and olive oil. As part of a healthy diet, these substances offer many proven benefits, without the risks that come with detox or cleansing diets. Garlic contains powerful antioxidants that prevent cell damage, and the University of Maryland Medical Center also notes that garlic may help strengthen your immune system and prevent heart disease and cancer. 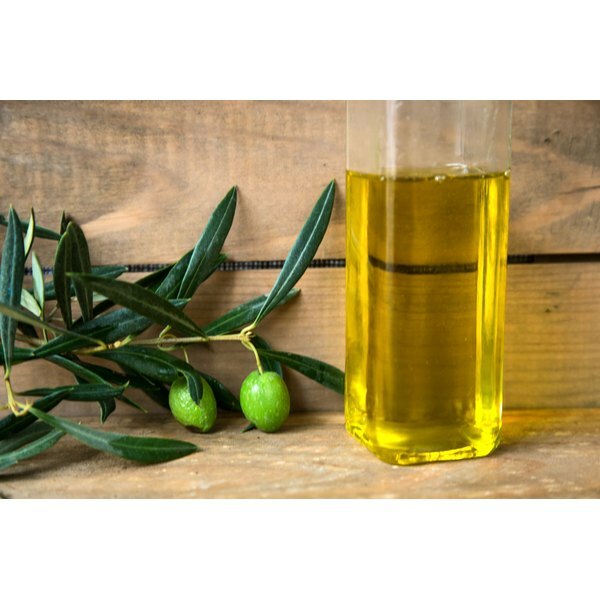 Olive oil also contains heart-healthy monounsaturated fatty acids, and just half a cup of lemon provides 90 percent of the recommended daily value of vitamin C.
Dr. Peter W. Kujtan notes that a healthy lifestyle and good diet is the best available liver cleaner. If you're worried about your overall health, consider making long-term changes that will have a positive effect on your body. Incorporate garlic, lemon and olive oil into your diet in a sensible and healthy way and speak to a dietitian or nutritionist about how to follow a diet that's good for your liver, gallbladder and the rest of your body. If you do decide to go through with a liver detox, see a health care professional first to make sure it's safe for you. KidsHealth.org: Are Detox Diets Safe?